On a cold saturday after Christmas, a little excursion is in order. 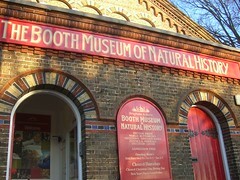 Where better than the Booth Museum of Natural History in Brighton? Thankfully very little has changed since I used to visit frequently as a child. Founded by Edward Thomas Booth in the 19th century, it was very much a personal passion and Booth plunged great sums of his not inconsiderable fortune into the collection. 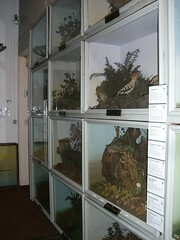 The result is a slightly ghoulish and delightfully old-fashioned museum displaying hundreds of stuffed birds, ordered collections of butterflies and insects, fossils, rocks and lots of skeletons. Everything from the tiny fragile bones of bats, a human and a killer whale are there for your perusal. Needless to say, it’s brilliant for children. And it’s rather good for grown ups too. 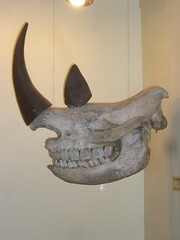 But as you browse the specimens it’s impossible not to imagine that these creatures come alive at night, when noone is looking. In fact, you really hope they do. Especially the huge stuffed anaconda.